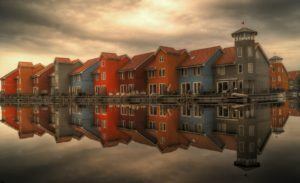 Home Pensions How can I transfer my UK pension to the Netherlands? Any pension built up in the UK falls under UK pension legislation. Some may continue to let you access them or use them upon relocating abroad whilst others may not. By leaving your pension in the UK there are certain risks that you open yourself up to. Ongoing Management – Your existing pension will be managed in line with the rest of the pension scheme, either personal or company. This creates the problem of, as your requirements change (i.e entering drawdown and wanting to access your money or withdraw an income), the pension portfolio is not invested in a strategy to match your requirements. Any UK pension can only be transferred to another recognised scheme by HMRC. There are in essence 2 options available to you for a UK pension transfer to the Netherlands. There are pros and cons of both pension schemes depending on pension size and your own unique requirements and objectives. As with all pension transfers, a strict process is required and you should always speak to a qualified regulated adviser. Before doing anything, we would recommend speaking to a qualified regulated adviser. All pension transfers need to comply with UK pension legislation and protection through regulation and quality of financial product chosen is vital.